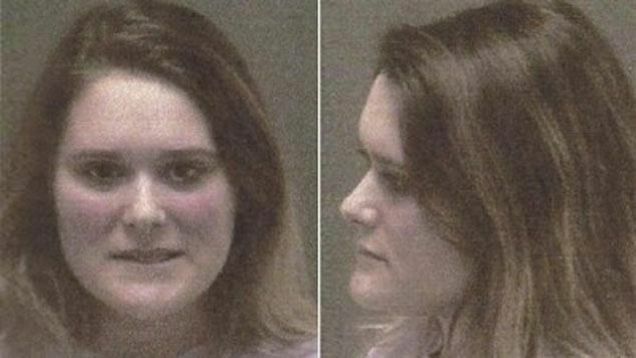 Ripping a page out Michael Lehmann's twisted cult classic Heathers, a Central Michigan University student allegedly tried to poison her roommate by putting bleach in her iced tea. Local police say 19-year-old Kayla Ashlyn Bonkowski confessed to spraying bleach into 20-year-old Emily Joseph's drink, justifying it by saying her roommate is "mean." The two, who live together in Union Township, were reportedly arguing about unwashed dishes. Joseph was transported to an area hospital where she was treated and released. Bonkowski was booked into Isabella County Jail on a felony poisoning charge. If convicted, she faces up to 15 years in prison. CMU released a statement to the press saying it was "aware of the situation and is still awaiting a police report from the Michigan State Police."